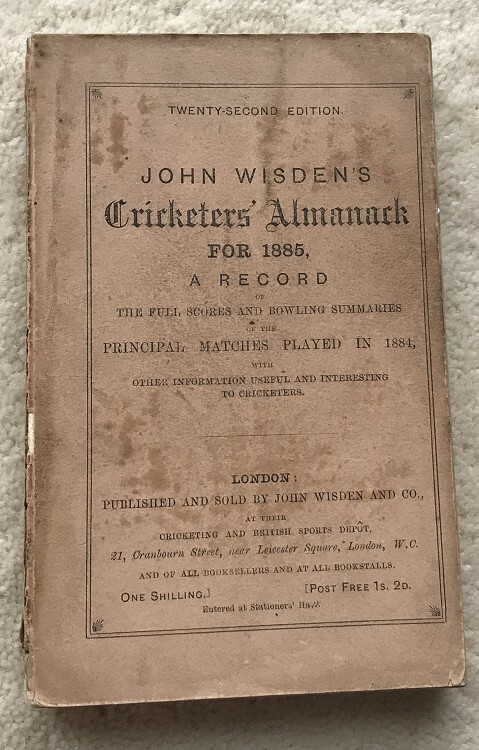 This lot is an Original 1885 Wisden Paperback. In OK to Good Condition. This Wisden has dark covers which is the main downside, it is 100% original. The spine paper is OK, it is missing at the ends and there is a vertical line but the book is still tightly bound. Inside it has a slight worn feeling but clean pages with spotting to the first couple of pages.